Dr. Ir. Tumiran, M.Eng is a member of The National Energy Board or Dewan Energi Nasional in Indonesia since 2004. Dr Tumiran obtained a PhD in Production and Information Sciences from Saitama University, Japan in 1996. He was the Chief Committee of National Energy Policy in 2011 – 2014, responsible for preparing the blueprint of energy strategy in Indonesia. He is also a member of Indonesian Electric Car research Team. 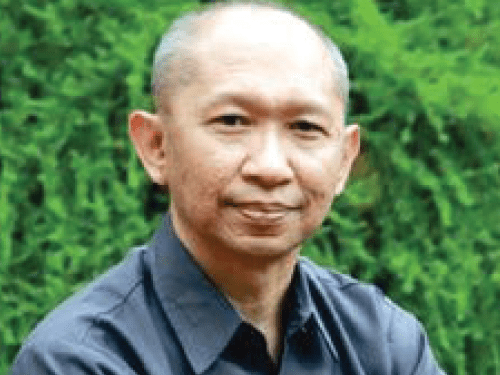 Besides his activity at The National Energy Boar, Dr Tumiran is also a lecturer at Department of electrical Engineering, Universitas Gadjah Mada, Yogyakarta, Indonesia. In his role as Chief Committee of National Energy Policy, Dr. Tumiran proposed a strategy for energy independence and security in Indonesia, with an emphasis on efficient energy utisation in all sector. This policy is supported by Indonesian laws and regulations, including the Indonesian Basic Constitution 1945.